Gorgeous painting! Even the background is interesting in the color changes, etc. Found you through Leslie's blog. I really like your work. Your work is stunning! 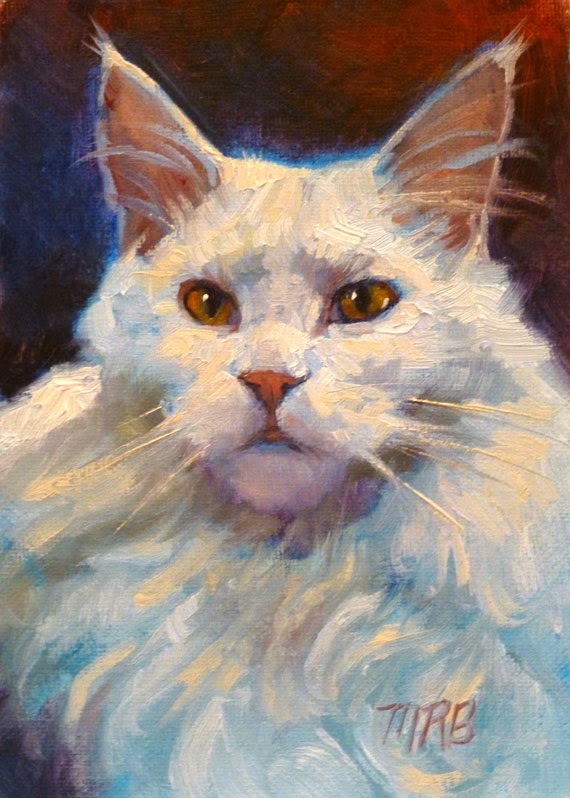 The texture and color on this white cat is great! The glint in it's eyes - perfect! Painting 30 in 30, as well. See you again soon! Thanks, Pattie! Good luck with your 30 paintings! This made me smile! So cute. Found you on Leslie's 30 in 30 as well! Me gusta mucho este trabajo, el tratamiento del color, el blanco estupendo. Enhorabuena.